Our Sausage and Bacon Breakfast Casserole is so delicious and so easy to make. It yields a ton of food so it’s great for leftovers or a large family. My cravings for tater tots lately inspired me to make this. We’ve been eating Tatchoes almost weekly for the last two months (keep an eye out for a potential recipe in the future). So of course, I just couldn’t help but look for some alternate ways to use Tots. I scoured Pinterest and found a lot of options, but none of them had everything I was looking for, so I took some cues from a couple different recipes and came up with this. 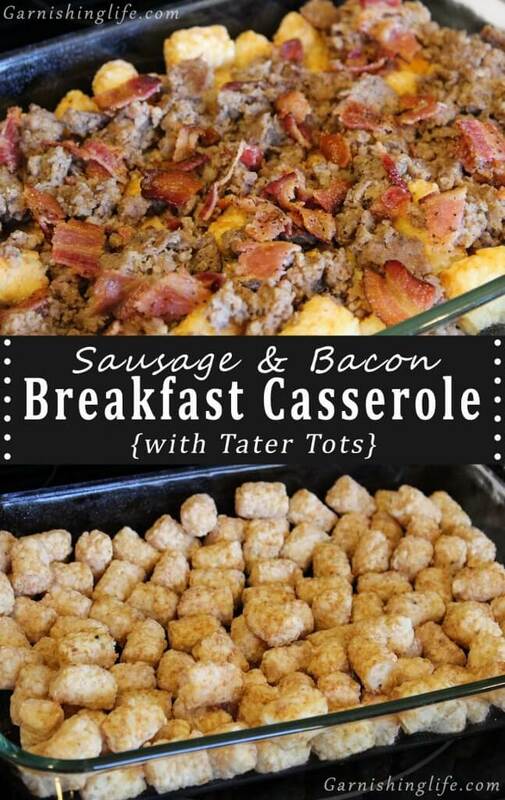 It’s pretty simple and is just the combination of my favorite breakfast foods. 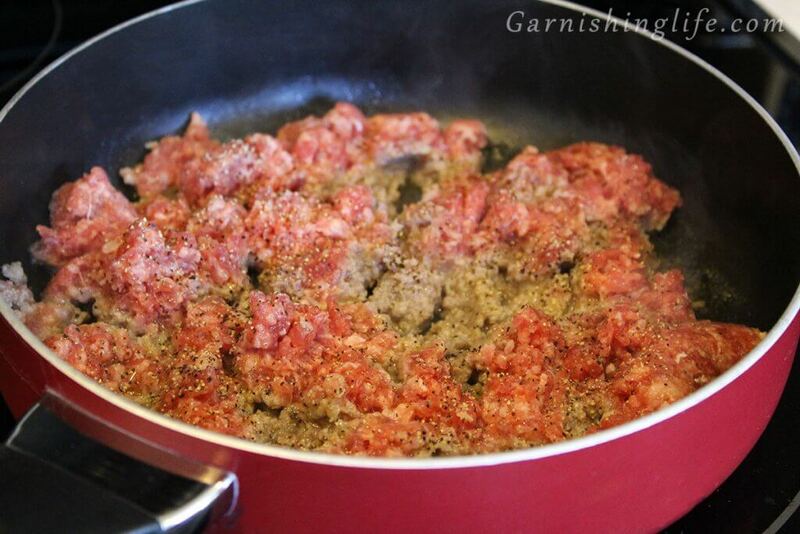 It starts with browning up a pound of your favorite breakfast sausage. 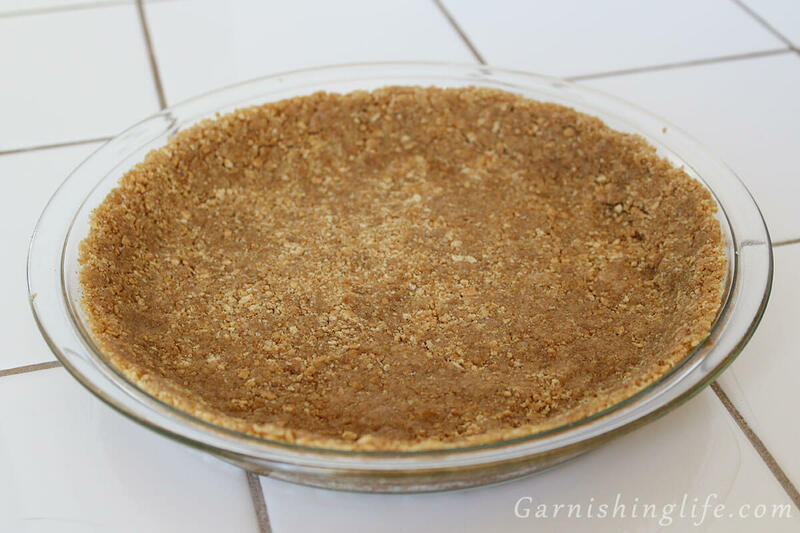 I use Jimmy Dean regular, although next time I make this I will probably try the “Hot” flavor. I sprinkled a little bit of salt and pepper on the sausage while it was frying. Following up the sausage (more efficiently, simultaneously) I bake my bacon. Also, I love to annoy Crys with my dad jokes about baking bacon, I just walk around the house yelling “Bake Bacon”… she loves it! Anyway, I like to bake my bacon, usually at 400° for 10-12 minutes depending on the thickness of the bacon. Similar to the sausage, I like to top the bacon with a little bit of pepper while it bakes. 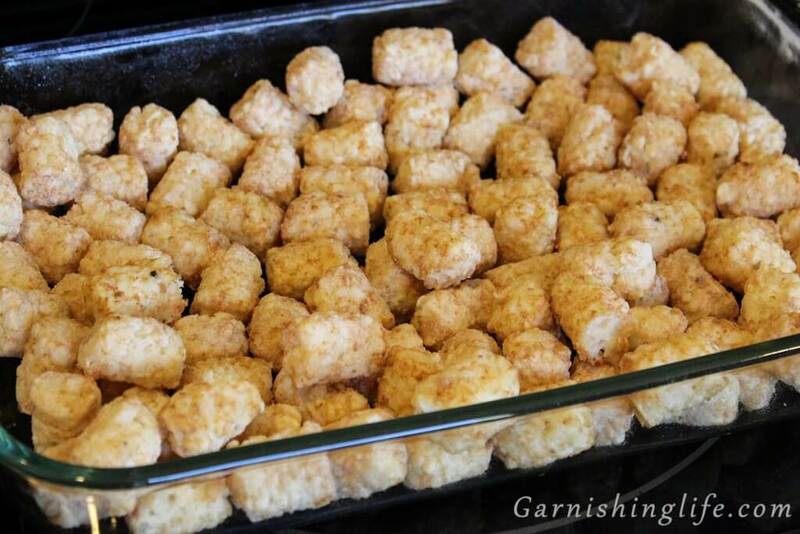 Once the meats are done, I layer the tots in a greased 13×9 baking dish. 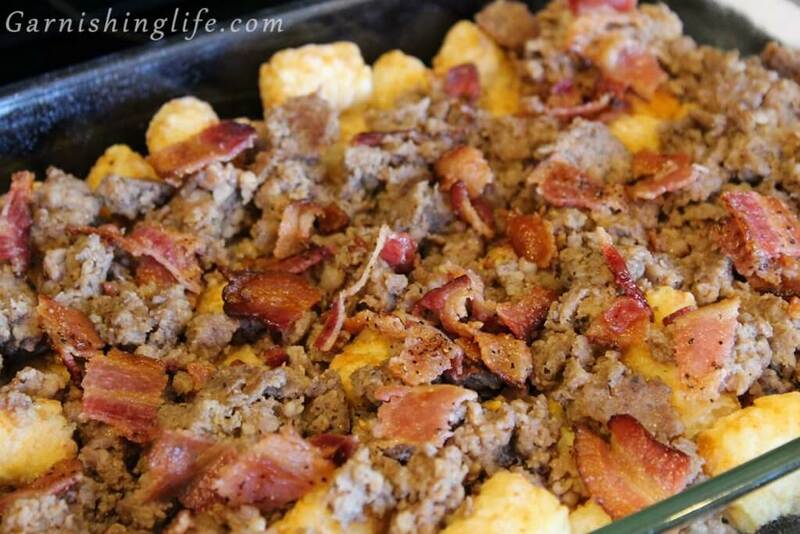 Spread the crumbled sausage and bacon over the tots. I then whisk together the twelve eggs with my usual favorite spices. Add the eggs to the baking dish. Now bake for 30-40 minutes, or until the eggs cook through. 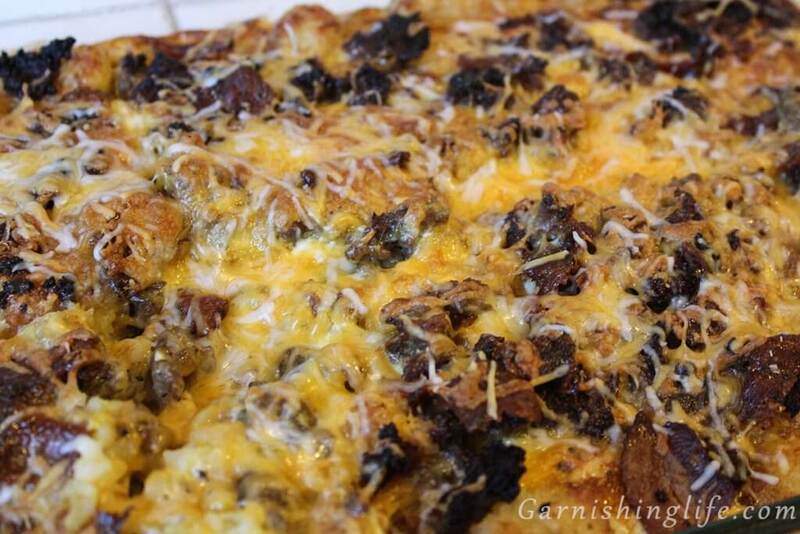 Top with your favorite shredded cheese and bake just a few minutes longer to melt the cheese. Once it’s all done and cooled a bit I divided up into eight servings. It was great for leftovers, it fed me for the rest of the week and was still great after four days in the fridge. Of course, as you know or will know, I love to drown just about everything in hot sauce, I think that really completed the meal for me. 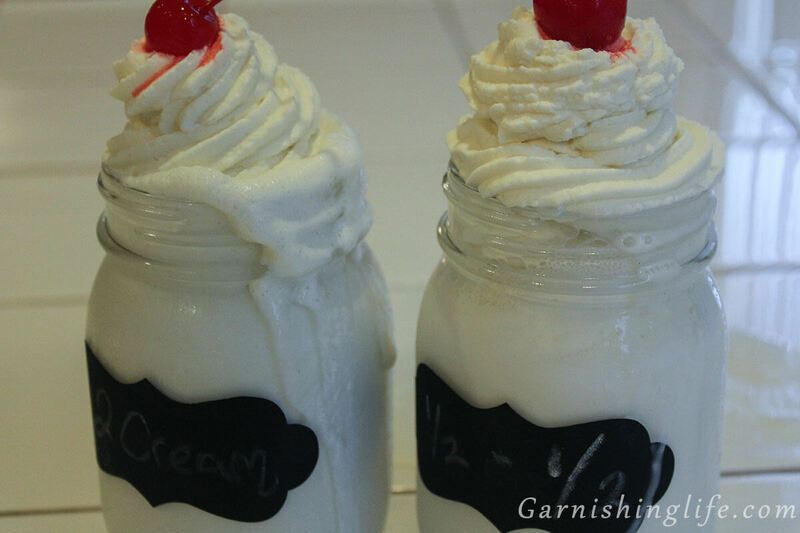 I may tweak this recipe a bit in the future so keep an eye out for the change. As always, if you liked this recipe and want to stay up to date, join our newsletter or follow us on our social platforms and we’ll notify when we post new recipes. Edit/Update: Although the idea for this recipe came from browsing Pinterest, the execution was 100% original. Being my first food recipe/casserole creation, I left out some key details that could have ruined a few peoples attempts at this recipe. I’ve addressed everything that was brought to my attention. If you see anything that seems out of place or just have a general question about how this or any of our recipes are supposed to come together, please feel free to drop us a comment or an email and we’ll definitely clear up any confusion. 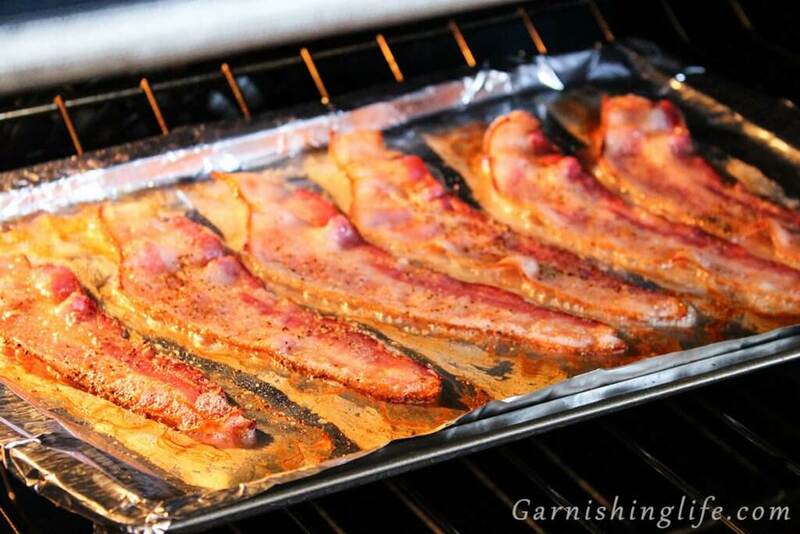 Once the bacon is done, lower the oven temperature to 350°. Top with cheese and bake another 3 to 5 minutes or until the cheese is melty! Let cool a little and ENJOY!